Isn't it funny how when you are focussed on something you see it everywhere? Like when you buy a new car and then you see others just like it on the road. Well, this is happening to me, in a literary way. I am currently working on a non-fiction article about the ancient art of Falconry. Strange topic, you may think. And I may have agreed except that last year we visited a castle in northern Scotland and witnessed a falconry demonstration. From then on I was hooked. 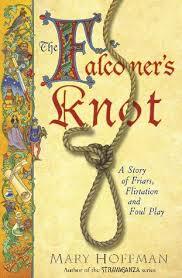 Anyway, I was in a second-hand bookstore a few weeks back and spied a book called The Falconer's Knot by British author Mary Hoffman. Thinking it might have something to do with falconry I took it home. I was delighted to discover the story was set in 13th Century Italy and Hoffman's meticulous research brings that era alive. Yes, there is a falcon in the story but it is more about love and murder and revenge - and its a fascinating read. 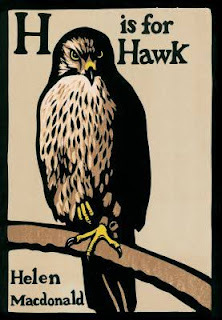 A year ago I read the back page blurb of Helen Macdonald's best selling work H is for Hawk. Back then I thought it probably wasn't for me, but now I'm over halfway through the book and I can't put it down. The story is about Macdonald's struggle with grief following the death of her father, but the main character is really a majestic Goshawk she takes on and trains. 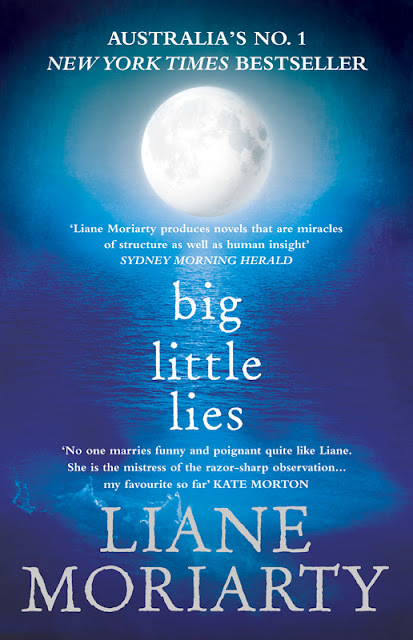 Fabulous story and the writing is sublime. Now, if I hadn't had an interest in falconry, would I ever have picked up either of these books? Probably not. It just goes to show.